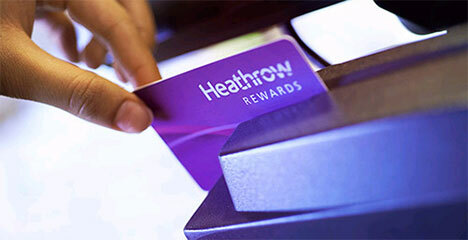 Emirates Skywards convert into Heathrow Rewards! Here is an odd one I didn’t see coming – but which could be very handy for a lot of Head for Points readers. The first bit of news is not hugely surprising. Emirates Skywards has joined Heathrow Rewards as a transfer partner – see here. As British Airways, Virgin Atlantic, Lufthansa and Etihad are already transfer partners, it is not a surprising addition. The transfer rate is the same as the other airline partners. 250 Heathrow Rewards points gets you 250 miles. You earn 1 Heathrow Rewards point for every £1 you spend in the shops at Heathrow, in the official car parks or on the Heathrow Express website, plus 1 point for every £10 of currency you exchange in the airport. The second bit of news IS surprising. You can transfer Emirates Skywards miles INTO Heathrow Rewards. The details are here. 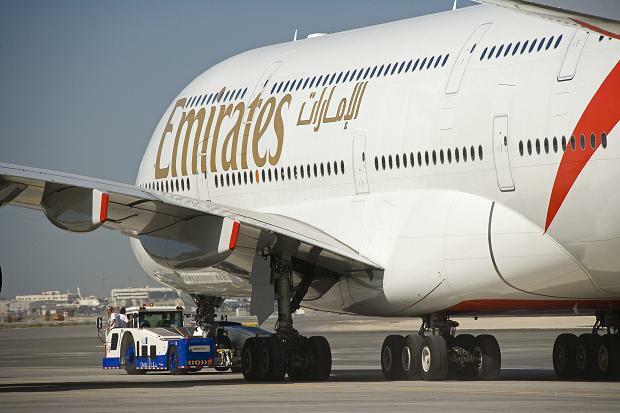 The minimum Emirates transfer into Heathrow Rewards is 6,000 miles. I wasn’t sure that Heathrow Rewards would have the IT to impose that final rule, so I took one for the team and tried it out! My first surprise is that the transfer was INSTANT. I logged out of my Heathrow Rewards account, logged back in and the 2,000 points were there. I went over to the Avios conversion page. I got a message “You do not have enough points to redeem for this reward” – which was true, excluding the Emirates miles. I then went to the shopping vouchers page and WAS able to redeem for £20 of shopping vouchers without any problems. This IS an excellent way of using up some spare Emirates Skywards miles (minimum 6,000) especially if they are about to expire. Don’t forget the other two ways of using up small amounts though – Arsenal football tickets and redeeming for easyJet flights. You CANNOT use this as a method of converting Skywards miles into Avios by laundering them through Heathrow Rewards – the IT works and those redemptions are blocked off. Welcome Rewards relaunches as Hotels.com Rewards - what has changed? EXCLUSIVE £30 Head for Points sign-up code for HotelTonight! Great use for some orphan Skywards Miles, might be using this in the near future. Is the page to transfer miles to points down? Can it be due to the fact that I cannot link my Emirates account to the Heathrow Rewards account ? Well timed! I have 9000 miles that expire next Friday and I thought I was resigned to losing them!! Anyone know how strict the name checks are when matching accounts or would it potentially be possible to credit to the same Heathrow Rewards account as long as surnames match? I have several family member accounts with 7500 miles each. These miles would be useful if I could move them to one account. Otherwise they’ll be spent on the emirates store on junk. One thing worth mentioning is that you must transfer in multiples of 6000 skywards miles. Bit of a shame since I have 9000 sitting unused. Don’t forget to check your emails and claim a bonus of 100 Heathrow rewards too… I got an email from Heathrow Rewards thanking me for voting for them! – Although I don’t remember doing so! I have the e-mails, but can’t log-on to the site – it times out. I’ve been trying since about 4pm! I’ve had the same problem. I even got as far as the “click here to claim your miles” page, but no idea if it actually worked or not. The email link is working again now. I’ve just logged in and claimed my 100 points. They won’t post for a while yet though. and, after log in, it will take you to the page to claim your points. Will a £20 voucher from converting 6000 miles and £5 of cash trigger the £25 minimum spend for the Etihad sign-up bonus or will only cash count? I will be trying this in a couple of weeks so I will let you know! Historically the register price is the one that counts – if you use £5 off vouchers at World Duty Free you get points on the full value. In the past, I am sure I had points on the full value once when there was a ‘3 for 2’ on something!